The book start exciting and reads very quick. Everything the main character Emma is thinking has been said. This makes the book very realistic which I didn’t immediately expect from reading the title. So it is a nice surprising start! And it is so realistic that you have to remind yourself that it is fiction, an exciting novel, not a true factual story. But for me, as a student living in Rotterdam which isn’t now a city in an area of hurricanes, the realistic part still feels like a bit of a storm fantasy too. Thinking about the storm chasers programmes on National Geographic Channel, would that come close to the description and the feeling of real, a question to Americans? Though the author mentions everything that happens, In my opinion she uses sometimes too many words. Otherwise the sentences are always long – it feels like that. But because the book reads quick it is not that big of an issue. Emma the main character is really my favourite. How she copes with everything going on in her life. The feeling of unconditional love from and towards her pet Maine Coone. Funny name Maine Coone for a cat. Never heard of that name before. 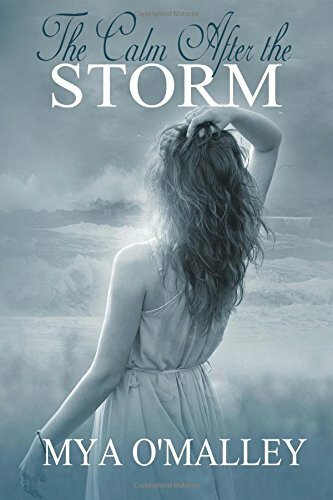 Lovely to read a story about a storm – in many different meanings – and the impact on the main character and her surroundings. The book should have another look at the style-, grammar- and spelling stuff. But it is still a good readable book I recommend. A good storyline is more important than some writing mistakes – because you can always correct them, the story of the editions. I am not telling about the story – never do in my book reviews – you have to read the book yourself and make your own opinion. I hope you like the book too. It is worth to read it!